Sombre Arcane hails from Massachusetts, and released their self-titled demo in August of 2018. 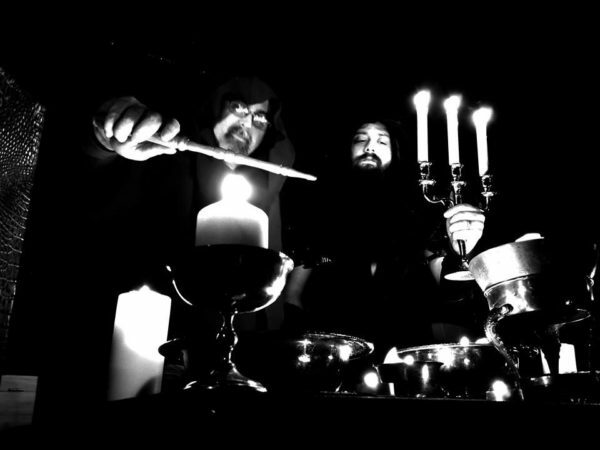 One of the earliest American proponents of live dungeon synth, Sombre Arcane has offered a number of rituals to the public, incorporating video, costume, and elaborate staging to make the audience feel like they are peering into the window of an alchemist’s workshop. Crafting their sound with synths and strings, Sombre Arcane offers a well crafted journey through the dungeons, infusing their music with folk, fantasy ambient and balladry for a thoroughly immersive experience. Their self-titled release is available from Dark Age Productions on Digipak CD with accompanying 16 page booklet.